Dr. Mignon B. Cejalvo (Dr. Min) has been in private practice since graduating from Western States Chiropractic College (now University of Western States) in Portland, Oregon in 1995. She also holds a Bachelor’s degree in Physical Education from the University of British Columbia (1991). Being an avid health, wellness and fitness enthusiast, she started her Chiropractic journey with an emphasis in sports injuries and in 1998 completed a three year postgraduate program in Rehabilitation Therapy from Los Angeles College of Chiropractic. Taking the athlete from injury, back to peak performance with the help of specific adjustments, rehabilitative exercises, soft tissue modalities such as Active Release Technique and also Low Level Laser Therapy, was very rewarding for both her and the athlete. Over the years, she continued treating sports injuries and expanded her focus to general family practice. In 2004 she co-founded and is the owner of Priority Life Chiropractic & Massage LLC. She is also a co-owner of Baby Boot Camp – Vancouver/ Camas; a stroller based fitness class for moms and infants. After becoming a mother in 2011 to triplet boys, Nicolas, Tomas and Danilo, her passion for treating families grew. The joys and heartaches of motherhood and her love for chiropractic propelled her towards a “chiropractic family wellness lifestyle” for her family and also for that of her patients. It is her passion to help each child reach their full health potential and to empower each mother to make informed choices about her pregnancy and each parent about the health of their child. 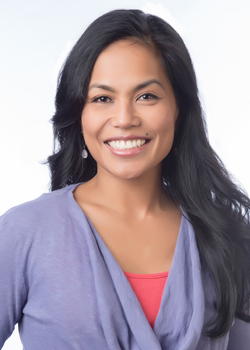 Dr. Min is a member of the International Chiropractic Pediatric Association and is trained in Craniosacral Therapy & Thompson Drop Table Technique for women and children and has been Certified in the Webster Technique for pregnancy since 2006. Dr. Min is on a mission to share chiropractic with the world because knowing chiropractic means that you have been empowered with a gift of knowledge about your body’s innate healing wisdom. Knowing this gift means that you many not always choose what is common in healthcare. But trusting this gift may open doors for you that you might not otherwise thought possible. She is committed to this mission and lives it every day. Choose Chiropractic first! Dr. Min has been married to her husband Ed, of 25 wonderful years and counting. 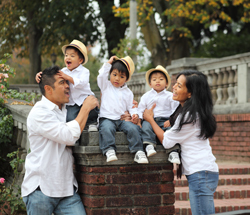 Together they are balancing the loving task of raising their energetic family with their professional lives. Dr. Min enjoys all that the outdoors have to offer. She loves to run, cook, garden and spend time with her family.